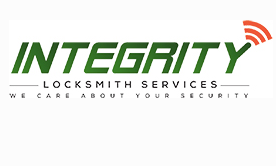 We are a family owned and operated locksmith company serving Altamonte Springs, Florida and the surrounding area! We have 8 years of extensive experience in auto locksmith services, commercial and residential locksmith service. No job is too small! If you are locked out or have a lost key near Orlando, Florida, we are the emergency locksmith service for you! We are also able to make duplicate keys and transponder keys if needed. Is your car key lost or not working, our expert car key locksmith can help. My ambition is to provide reliable and honest service to the people in my community when helping them with their security needs.